Relax and indulge yourself with luxurious Spa Shower Scrub, Wonder Product for moisturizing, relaxing and lightening skin. 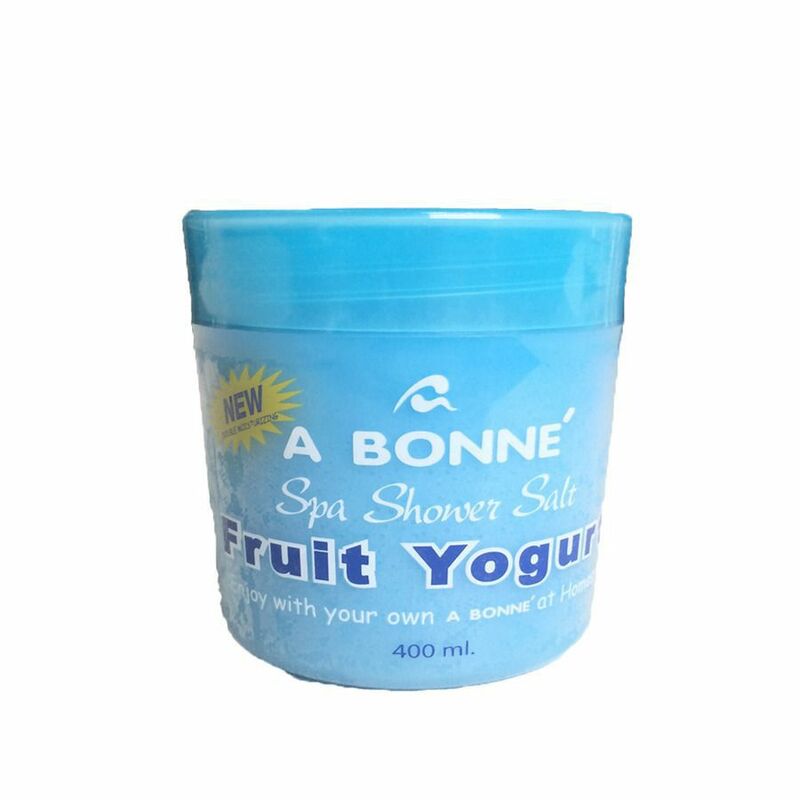 Deeply clean and condition your skin with the natural value of Spa Salt, Pure Milk Protein and Multi-fruit Yogurt, which developed to be one-step skin care. Leaving skin feeling relax, delicately smooth and moisturises, stimulating AROMA leave skin refreshed. Direction: Scoop out a generouse amount and apply onto moist skin. Massage gently in circular motion to remove dead skin cells, then rinse off thoroughly.